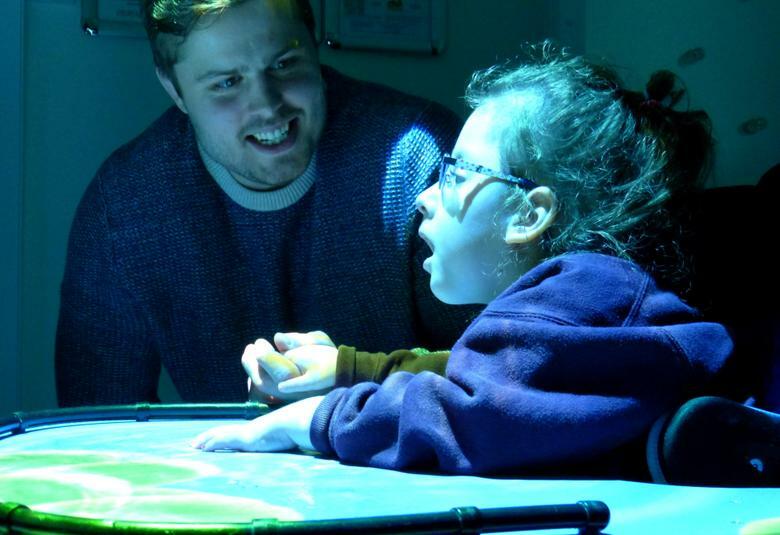 On 23rd March our fantastic multi-sensory room was officially opened by members of the Wooden Spoon charity who helped to raise the £14,5000 to pay for it. The Wooden Spoon is a rugby based charity who fund raise for similar causes. 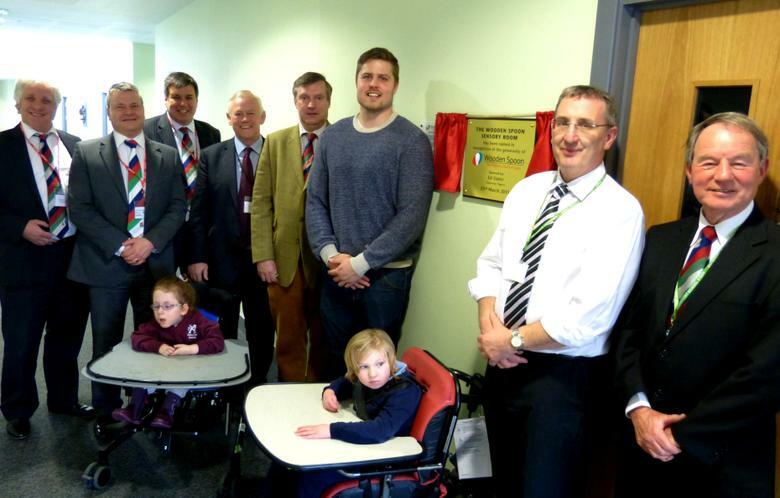 The room was opened by the current Leicester Tigers team captain Ed Slater, who then enjoyed joining children for an interactive session in the room where he learnt how the various effects enhance learning. Ed was joined by another Tigers legend Bleddyyn Jones (now with BBC Radio Leicester) and members of the Wooden Spoon committee. An unexpected special guest was ex Tigers and England captain and Tigers Chief Executive Peter Wheeler. As a member of The wooden Spoon Society Peter joined us for a tour of the school and saw how our new building has helped achieve our consistently outstanding results for our students. 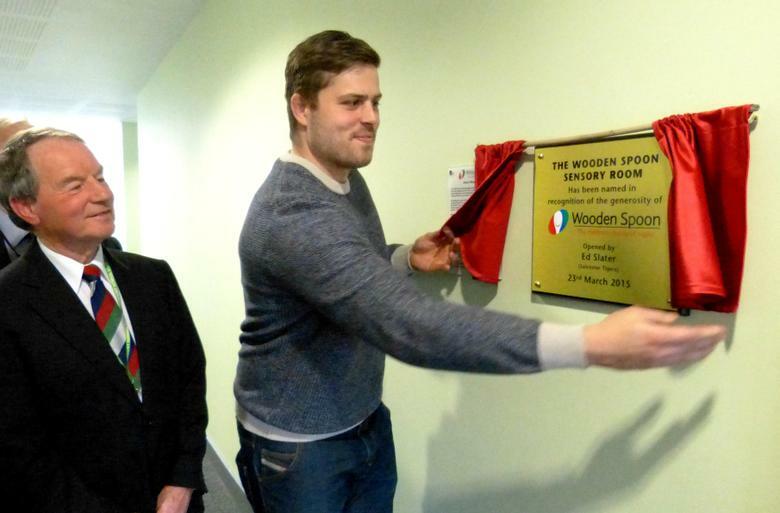 We would like to thank The Wooden Spoon Society for their sponsorship of the multisensory room and for their continuing support for the school.